It’s not too hard, just fry up some Bacon! Here they are using it to eat pudding! 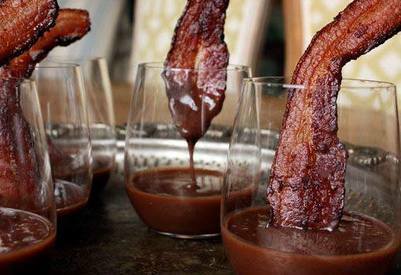 What would you eat with a Bacon spoon?